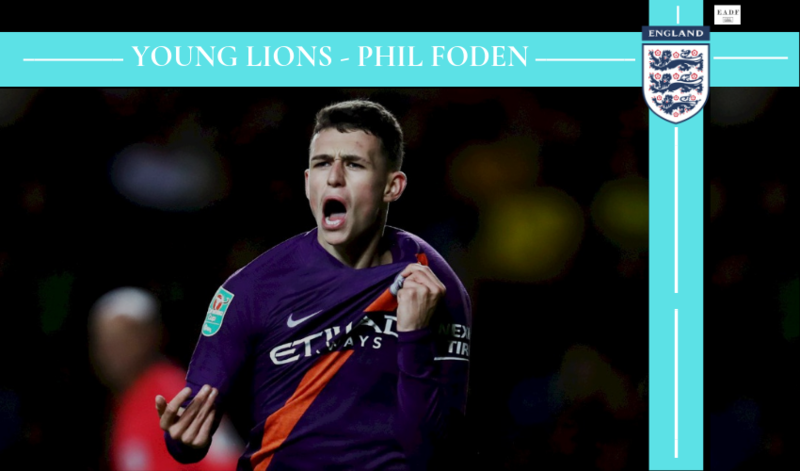 We are kick off our first series -‘Young Lions – The Future of English Football’ with an in-depth look into Manchester City’s Phil Foden, one of England ‘s brightest midfield talents. Resident writer Udhav Arora gives us a lowdown on the “Stockport Iniesta”. “Balance and a left foot you can’t believe” is a term you would most associate with the great Lionel Messi or Diego Maradona. However, these are also words that were used by Reddish Vulcans FC to describe a certain 7-year-old Phil Foden as they bid him farewell following his move to Manchester City’s youth ranks. The young Englishman is reportedly a boyhood supporter of Manchester City and has received high praise more often than not from all his coaches at the junior level. Despite having knowledge and skill of the game way beyond his years, Foden’s physical growth was not quite comparable to his peers in the academy. This concern held him back early on in his teen years. But, his incredible growth on the pitch was unfaltering. The proof of the same was his inclusion in the 2016/17 FA Youth Cup squad a year early. The Manchester City #47 received noteworthy media attention during the Under-17 FIFA World Cup that took place in India. Foden was part of the English team that took home the trophy by beating Spain 5-2 in the final. Not only did the youngster grab a brace in the final, and won the man of the match, he was also awarded the Golden Ball for his consistent world-class performances through the course of the tournament. Foden started 6 games out of 7 for England and ended up with 3 goals and an assist. He is hailed as ‘The Stockport Iniesta’ by many of his coaches and fans. With an aura of flair, agility, and vision, Foden really backs up the high claim on the pitch. He is also unstoppable in front of goal and has a sweet strike on his left foot. Foden, 18, has a reputation of being down-to-earth and has also been hailed for his hardworking nature. Glimpses of the same are visible in his game even though he plays as an attacking midfielder. Already gaining huge support from the manager, Pep Guardiola himself, Foden is also incredibly versatile and can play in a number of positions. He was deployed as a right-winger and wide midfielder for England under-17 at the World Cup. But, under Guardiola, he has played in a more orthodox attacking midfielder role, like that of his idol, and now teammate, David Silva. After his 2 goals against Spain in the under-17 World Cup final, Pep joked, saying he would play Foden on the right of side the attack. 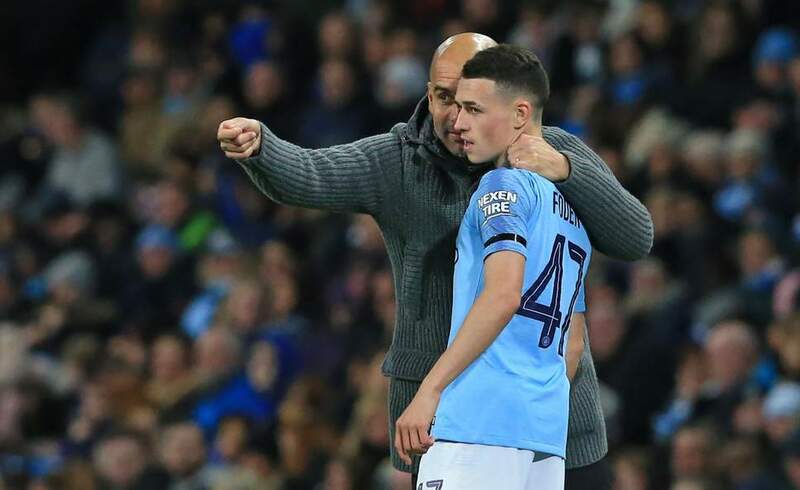 Guardiola named a 16-year-old Foden on the bench as Manchester City faced Celtic in the Champions League. Even though Foden ended up as an unused substitute, his inclusion in the team over many first-team players seemed to have caught the eye of the media and other clubs around the world trying to snap him up. Not only did he get a glimpse of the biggest European Competition, but he also became the third youngest player in City’s history to be named in a matchday squad, behind Glyn Pardoe and Paul Simpson. Pep Guardiola naming a 16-year-old in his matchday squad speaks volumes about the player and his potential. He became the youngest player ever to receive a Premier League medal as Manchester City put together a record-smashing campaign last season. Foden operated alongside fellow Englishmen Jadon Sancho and the Spanish Brahim Diaz for the youth team at a time. He is now the lone ranger, quickly playing his way into Pep Guardiola’s senior team plans, following Diaz’s departure to Real Madrid this winter. The 18-year-old is often seen in his manager’s matchday squad. He also gets the chance to appear in City’s games, which is a significant feat considering how star-studded the team is. Foden has appeared thrice in the Champions League this season. However, he only got a combined total of 4 minutes against Shakhtar Donetsk and Olympique Lyonnaise. He did, however, put up a show starting and playing 90 minutes against Hoffenheim in the last game of the group stage. The midfielder has not started a Premier League game this season but has appeared 8 times in the Premier League. He averages only 11 minutes per game but is slowly drilling his place into the team. The teenage sensation also opened his account for Manchester City in the Carabao Cup against Oxford United as City sealed a 3-0 win. He finished off brilliantly from a Raheem Sterling pass and immediately ran over to the City away stand kissing the badge. Possessing all essentials of a Pep Guardiola midfielder, Foden’s eye for goals makes him the perfect long-term replacement for ‘El Mago’, David Silva. With the latter edging towards the twilight of his career, Foden has a real chance at competing with a seasoned international like Bernardo Silva for the third midfielder’s spot. The young Englishman’s performance against Rotherham in the FA Cup third round was a reminder of all of his talents and finesse. It has been noted before how Pep transforms players by taking them into his stride, and Foden will be no exception. His exceptional left foot was first noticed by the world as he struck a fine goal from about 20 yards out against Mexico at the U-17 World Cup. His ability to curl the ball from the edge of the box and cut inside is awfully similar to Arjen Robben. Foden possesses all the qualities of an attacking midfielder and puts in a tireless shift throughout the game. Using his impressive work rate, Foden can press the opponents high up the field keeping them on their toes. This also gives him opportunities to nullify the opposition’s deep-lying playmakers and midfielders like Jorginho. This also means it is easier for Foden’s team to pin down centre-backs that operate a high line or play long balls, like that of Liverpool. What makes this talented specimen different from most of his fellow Englishmen is his flair. His ball control in the under 17 side was arguably the best, and his guile while dribbling is better than most even in the senior side. Foden has played in several positions in his career but is currently best suited on the right of a midfield three. His versatility is very impressive. While his pace does not allow him to play as an out and out winger, he can most certainly fill up the position when and if necessary. His ability to beat defenders with poise attracts a considerable amount of fouls on him, paving the way for set-piece opportunities. The Englishman is also a fine playmaker, and has racked up goals and assists on a very regular basis for his youth sides. Last season, with the under 18 side, Foden winded up with 15 goals in 31 games, bettered only by striker Lukas Nmecha. His brilliant movement while passing in tight situations and immaculate vision make him a perfect mould for Manchester City. The blue team from Manchester comprises of a stellar midfield lead by Kevin de Bruyne playing at the peak of his career. This midfield is a tough nut to crack, and having replacements ready with players like Ilkay Gündogan in their prime on the bench, certainly makes it even tougher. They also have a certain Bernardo Silva, who at the moment looks like the designated heir to his namesake’s throne. Foden is almost certain to become a regular name on the bench in the coming year or so. Guardiola has a reputation of rotating a lot, and that will help Foden’s case as he makes his way as a starter. He is almost certain to become England’s first choice in midfield in the coming years as well. Even though the senior squad’s average age is quite young, the midfield lacks a creative outlet that can be filled by Phil Foden. It would be no surprise if the leading man for the under 17 side is a part of the final English team for the Euros next year. 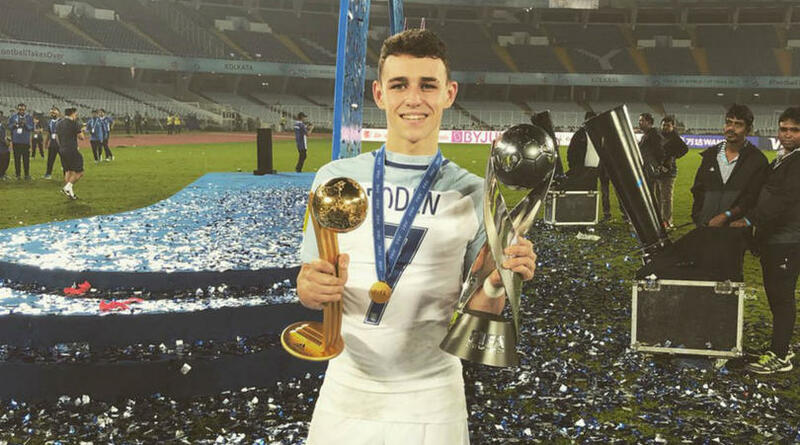 However, patience is key for a young player like Foden, if he wants to make a name for himself at his boyhood team. 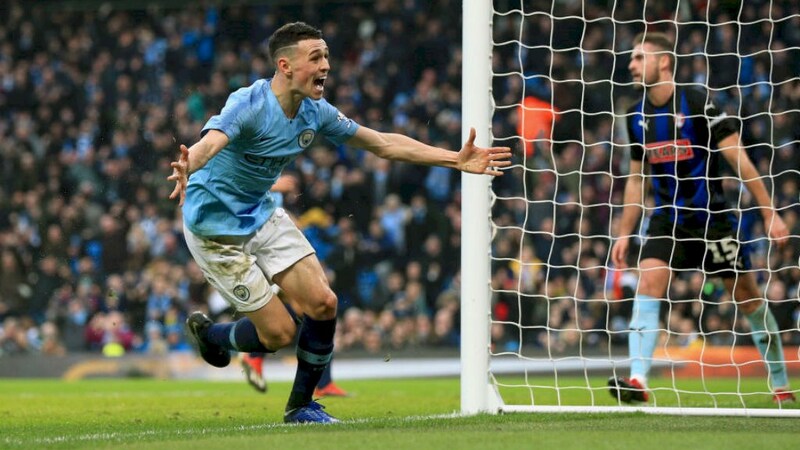 Pep Guardiola has become accustomed to big name signings but is very fond of Foden, and delineated the young man as, “incredible”. He also said that Foden is ready for the English national team, and is already playing like ‘a man’. 2018 was capped off wonderfully for the World Cup winner as he signed an extension with the Premier League champions, tying him to the club till 2024. 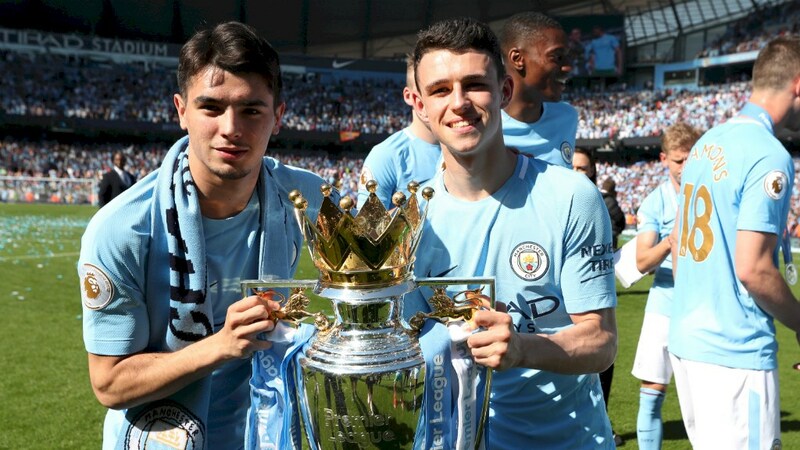 We don’t know if Phil Foden will stay at City and sign many more extensions as a starlet or if he moves in search for early recognition like some of his former teammates. What we do know for sure is, that Foden has all the necessary traits to become a world beater, and it would be no surprise to see him dominate world football soon. 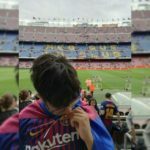 An FC Barcelona and rock music faithful.